According to Ohio Administrative Code 3701-3-28, “Whenever a person is bitten by a dog or other mammal, report of such bite shall be made within 24 hours to the health commissioner of the district in which the bite occurred.” If you have been bitten by an animal or know someone who has, please report this to Franklin County Public Health. Franklin County Public Health is required to quarantine all dogs, cats and ferrets that bite people. The quarantine is typically for 10 days and is most often done at the animal owner’s home. The purpose of the quarantine is to ensure that the biting animal does not have rabies. If the biting animal has rabies at the time it bit, the symptoms of rabies will be seen in that dog, cat or ferret within 10 days following the bite. It is strongly recommended that the biting animal not be vaccinated or have elective surgery during the quarantine period to ensure that any vaccine reaction or side effects from surgery do not give a false indication of rabies or other neurological behavior that may be associated with rabies. See the requirements of quarantine according to Ohio Administrative Code 3701-3-29. The typical quarantine period is 10 days, but there are however times when a 45 day or 6 month quarantine of an animal is necessary. Please see below for information about this extended quarantine. What if an animal dies or is put down during quarantine? 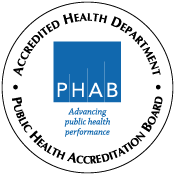 If any quarantined dog, cat, or ferret dies before the quarantine period expires, then the head of the dog, cat, or ferret shall be submitted to the Ohio department of health’s bureau of public health laboratories for rabies examination. If the owner or harborer of the dog, cat, or ferret is unknown, the health commissioner may direct that the dog, cat, or ferret be humanely killed in which case the head of the dog, cat, or ferret shall be submitted to the Ohio department of health’s bureau of public health laboratories for rabies examination. When is a 45 day quarantine required? Any dog, cat, or ferret bitten by a known rabid mammal, or that had reasonable probability to have been bitten by a wild carnivorous mammal or bat that is not available for rabies testing shall be regarded as having been exposed to the rabies virus. (b) Mammals with a current rabies vaccination shall be given a booster rabies vaccination immediately and quarantined under an order issued by the health commissioner of the health district in which the bite was inflicted. The quarantine period shall be for not less than forty-five days. When is a 6 month quarantine required? (a) Dogs, cats, or ferrets not currently vaccinated against the rabies virus or when vaccination cannot be verified shall be humanely killed; or if sufficient justification for preserving the dog, cat, or ferret exists, the exposed dog, cat, or ferret shall be quarantined by the health commissioner of the health district in which the bite was inflicted. The quarantine period shall be for not less than six months. The dog, cat, or ferret shall be vaccinated against rabies by a licensed doctor of veterinary medicine one month before the end of the quarantine period required by this paragraph. If you have a Franklin County Public Health rabies tag for a dog, cat or ferret simply enter the tag number (example: A123456) and it will display the name, address and telephone number of the veterinarian or clinic that vaccinated the animal. Visit the online lost pet look-up form here. You can then contact the veterinarian or clinic to obtain owner information, address and date of vaccination. Submit an order online or print and complete the order form and fax to (614) 525-3851. If you have any questions, please contact us at (614) 525-3160. We accept any rabies tags that have not been issued from the current year or the previous year only and will credit your account for the amount returned. If you have questions, contact us at (614) 525-3160. If your client has lost a rabies tag from this current year, simply issue them a new tag and amend your records (rabies certificate) with the replacement rabies tag number. If your client has lost a rabies tag from a previous year, please contact us at (614) 525-3160 and we will work with you and your client to obtain a replacement rabies tag. Please note that we will need a copy of the original rabies certificate or record that provides the owner information, pet information, date of vaccination and expiration date of vaccination.